It must have been about 10 years or so ago. I was still living in Michigan (go Blue! ), the state that I grew up in, and visiting a local apple orchard. This orchard wasn’t just any orchard as it had quite an elaborate gift shop and bakery attached to it. You could get anything from pies to fresh-pressed apple cider. One of the areas that I liked to peruse at this orchard was the homemade canned goods section. There were shelves upon shelves of canned fruits, pie filling, pickles, and jams/jellies. Now, if you’re anything like me, you love the taste and texture of homemade jelly. Nothing beats a PB&J with fresh preserves. I was looking at the sea of different types of canned jams and jellies on the wall when a peculiar flavor caught my eye. Now, what on earth would that even taste like? I was perplexed by this find and convinced myself that it certainly would not be suitable for a peanut butter and jelly sandwich. I mean, would it make your childhood treat taste like a pepper patch? Would it burn your mouth?! As I was reveling in these thoughts my sweet husband came up behind me and asked me what I was looking so intently at. I picked up the jar from the shelf and showed him the contents. I asked him if he had ever heard of such a thing. 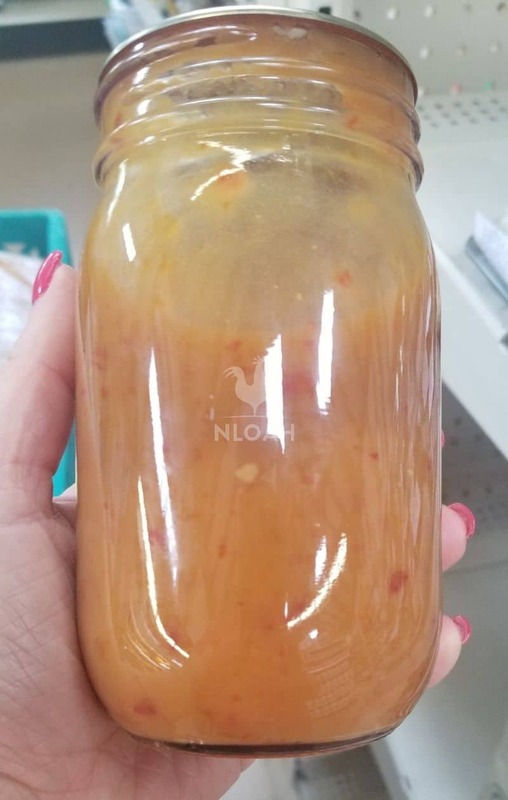 My husband chuckled and said, “Babe, I’m from Amish country Pennsylvania, of course I’ve heard of and eaten jalapeno hot pepper jelly”. So, naturally, I asked him if he enjoyed this strange concoction of sweet and heat and he told me that yes, the jelly was actually very good. I hesitantly put the jar in my shopping basket and made my way to the checkout counter. The lady at the counter picked up the jar and told me that I was in for a real treat. She said that the jelly doesn’t taste the way that I would think that it does. All I could say was, “we’ll see”. We drove home and got the groceries and apples in the house and settled in. 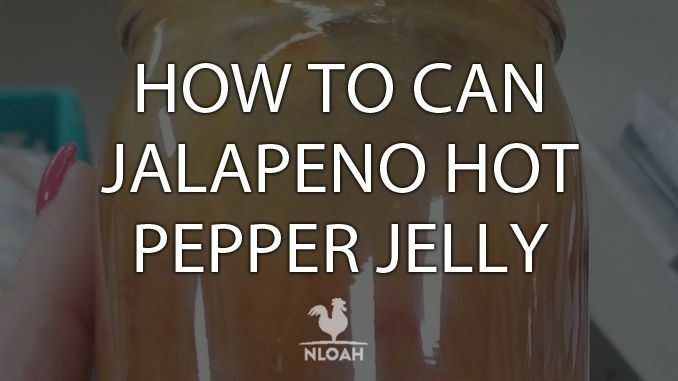 I wasn’t sure how to eat this jalapeno hot pepper jelly, so I turned to the trusty old internet. I found a recipe that was really very simple and so I thought I’d give it a try. Basically, you place an undisturbed brick of cream cheese on a plate and dump the jar of jelly over the top. Then, you serve it with crackers. So, that’s what I did. Guess, what? Seriously, I could not stop eating the stuff! My husband told me he had never enjoyed the jelly in this fashion and was glad that I found the recipe. Hot pepper jelly poured over a brick of cream cheese has been a go-to snack for holiday parties at our house ever since. 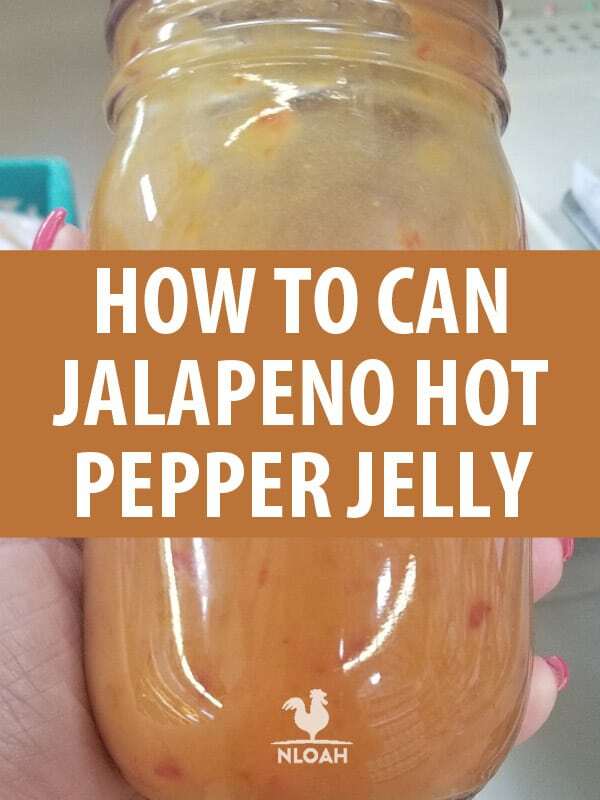 Now, buying homemade jams and jellies from specialty stores can get quite expensive so I had to teach myself how to make jalapeno hot pepper jelly and preserve it. I was darn excited that the process wasn’t all that hard. You, see, we eat a lot of the hot pepper jelly around my house because it is so good. Naturally, I always need to have a few jars on-hand. Once you taste this jelly you are going to feel the same way. In a food processor, finely chop the 3 varieties of peppers. You may also chop the peppers by hand if you prefer. If you notice a lot of excess water in the peppers, try to drain as much out of them as you can. This will help your jelly to set up properly. Now, add your peppers to a large kettle. Pour in the vinegar, salt, and sugar and bring the concoction to a boil for about 10 minutes. Make sure to stir the mixture, often. Then, add the pectin and continue to boil for another minute. Finally, remove the kettle from the heat and ladle jelly into hot, sanitized jars making sure to leave about a ¼ of an inch of room from the time. Place a lid and ring on the jar and process in a hot water bath for about 10 minutes. If you live above sea level please process for a few minutes longer. Once the jelly has been processed in the hot water bather canner, allow it to sit for a couple of days before opening to ensure that it fully sets. Make sure to squeeze the moisture out of the chopped peppers. 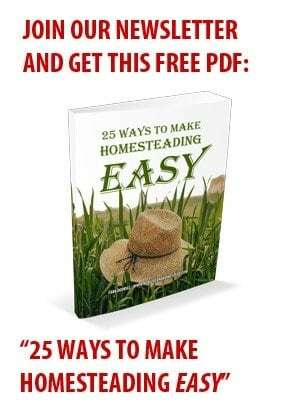 You can do this by laying them on folded paper towel or using a cheesecloth. Removing the excess water helps the jelly to set up better and won’t leave you with something that is a little watery. This recipe calls for 20 jalapeno peppers. Feel free to cut that amount down if you think it’ll throw to much heat at your taste buds. Make sure to get all of the seeds out of the jalapenos, too, as they are very spicy. A good rule of them when cleaning hot peppers is to wear gloves as to avoid irritation to your hands and eyes (if you accidentally wipe them). thanks for sharing that recipe! I’m very excited to try it. I’ve been waterbath, steam and pressure canning for a couple of years and have enjoyed great success. With everything that is except with the most simplest recipes — jams and jellies. That is because I’m trying to figure out methods that don’t use packaged pectin. I’m searching for naturally-occuring fruit pectins and various cooking methods to thicken. This might sound silly, but I’m trying to learn how to can these items should the day come when pectin is not readily available. I’m trying to learn how our foremothers canned. They didn’t have packaged pectin. They used something else that worked. Needless-to-say, I’m ending up with lots of watery products. But, my question is, is there a way to make this jelly without packaged pectin? For instance, I hear you can make, and can, a natural pectin from crabapples. In your recipe I don’t see any amount of sugar to add. There has to be sugar! You mention it in the directions but…how much? Thanks. I made this once years ago and didn’t use gloves. I haven’t made it since. Sleeping with two bowls of ice water with my hands in them, in bed was not a good night’s sleep!! Amount of sugar seems to be missing. Please advise. How much sugar? It is not listed with the ingredients.